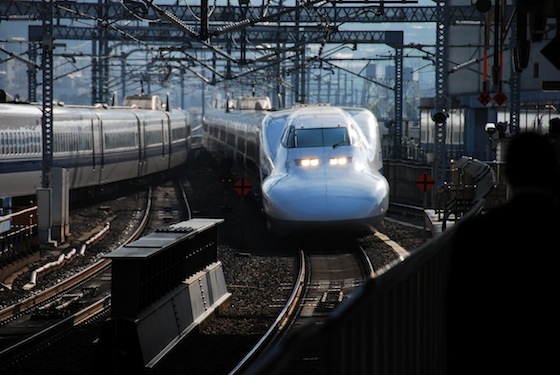 Announcing the Winners of the Japan Society/JC•NYC JAPAN CUTS Yoshio Harada Trivia Contest! JapanCulture•NYC teamed up with Japan Society and the Japan Society Film Program for a ticket giveaway for two Yoshio Harada films as part of JAPAN CUTS: The New York Festival of Contemporary Japanese Cinema, which begins tonight and runs through Saturday, July 28. The contest is complete, and two lucky winners won a pair of tickets to each of the Harada screenings on Thursday, July 19, Someday at 6:30 p.m. and 9 Souls at 8:30 p.m. Let’s give a big JapanCulture•NYC omedetou to Ellie Austin of Brooklyn and Chihiro Shimizu of Union City, NJ! Ellie and Chihiro answered three Harada-related trivia questions correctly, and then their names were randomly drawn out of a hat. 1. Yoshio Harada was known for his life-long passion for what vehicle? 2. In the film Zigeunerweisen by Seijun Suzuki starring Harada, there is a scene with what super-imposed creature? 3. What is the name of the film in which Harada plays a yakuza that was screened at Japan Society in March 2011? 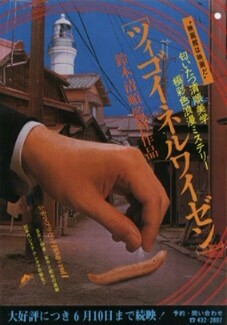 The film was screened on March 10, 2011, with a lecture by Jake Adelstein, author of Tokyo Vice. Congratulations to Ellie and Chihiro for knowing their Yoshio Harada trivia! Japan Society is paying tribute to the late actor Yoshio Harada on Thursday, July 19, the one-year anniversary of his death. Harada appeared in more than 100 films in his decades-long career, playing mainly rebel and anti-hero roles. He won the Blue Ribbon award for Best Supporting Actor in 1976 for his roles in Preparation for the Festival and Pastoral Hide and Seek and Best Actor in 1991 for Ronin-gai and Ware ni utsu yoi ari. Last year Harada received the Japan Academy Prize for Best Actor for Someday. In 2003 the Japanese government awarded him the Medal of Honor with Purple Ribbon for his contribution to film, theater, and television. In Someday, Harada’s last film, Harada plays Zen Kazamatsuri, who runs the Deer Eater restaurant in a rural mountain village in Nagano Prefecture. He’s also the lead actor in a kabuki play held by the little town, a tradition dating back more than 300 years. Shortly before the opening of the play, his estranged wife who had run out on him decades prior returns half-senile and not remembering having left him at all. Zen must figure out how to live with his new-old wife while rehearsing. 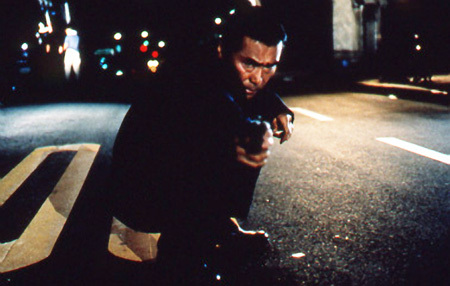 Harada plays the leader of a gang of escaped convicts in 9 Souls, the second film in the Harada tribute double feature. Japan Society describes 9 Souls as having “a feel of Les Miserables mixed with a hallucinogenic, cut with speed. A truly original addition to the jailbreak genre!” This film is unrated, and you must be 18 years or older to view it. JAPAN CUTS: The New York Festival of Contemporary Japanese Cinema, Japan Society’s annual film festival, begins tonight with the screenings of Asura and Smuggler. To see the full lineup and to purchase tickets, please visit Japan Society’s website.